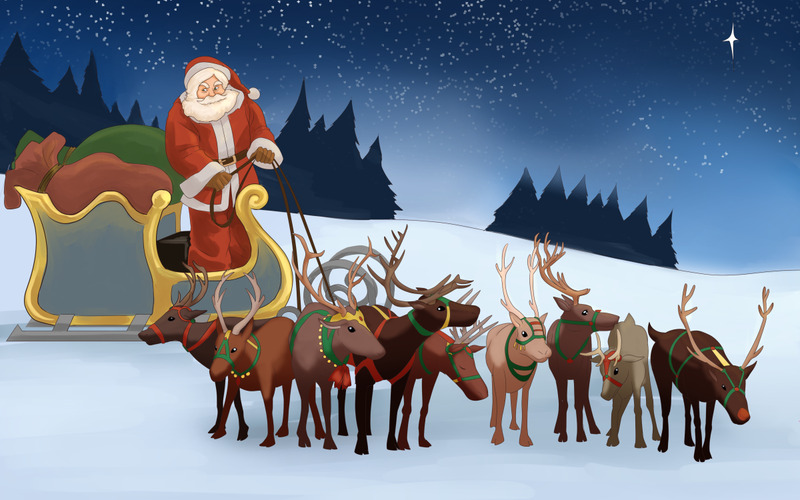 Christmas can't be far away, the marketing blitz has begun, festive music fills the air wave and the shopping malls, people organizing celebrations and there have been more than a few sightings of Santa. There is so much that parents can do to prepare their children to celebrate the true spirit of Christmas. 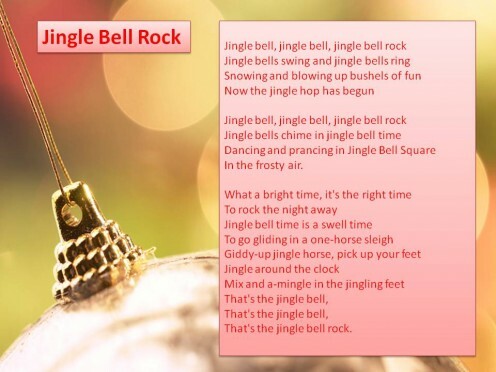 There is not better way for children to spread a little Yuletide cheer than singing joyful Christmas songs like "Jingle Bells" at the top of their voice. Christmas is a time of special music. There are songs of every kind for this time of the year. For those who see the magic of the Yuletide season most clearly through the eyes of children, there are plenty of great kids carols to go around. Singing with kids make Christmas celebrations all the more enjoyable and lively. Here are some of my favourites, come on gather around and sing some Christmas songs. 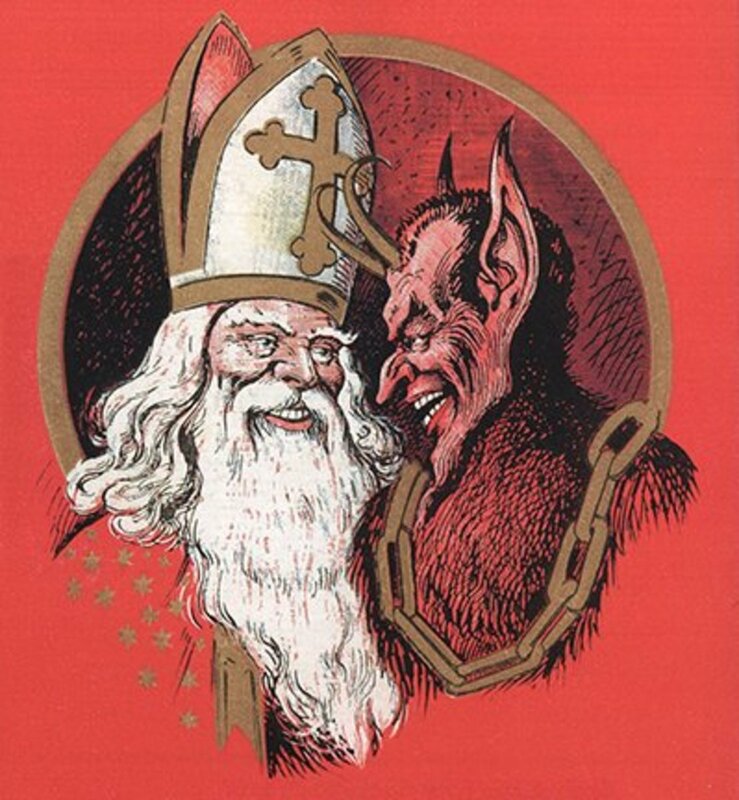 For many years now, fathers have been dressing up in white beards and red suits around the Christmastime. It was Tommie Connor who wrote this little song in 1952 and he was lucky enough to have 12-year old Jimmy Boyd record it, in a version that sold nearly 2 million copies in the first year. In 1932 J. Fred Coots and Haven Gillespie wrote the words and music of this song but no music publisher was interested in the song because it was a "kiddie tune" and kiddie tunes were known to be uncommercial. At the time Coots was writing special material for comedian Eddie Cantor, to whom he showed the song. But even Cantor was about to turn it down for his radio show, until his wife Ida persuaded him to give it a try - this was near Thanksgiving in 1934 and of course it was an instant hit. The radio audience went wild over the song.Since then there have been many recordings of the "Santa Claus is Coming to town" The popular version were the one recorded by Bing Cosby, The Andrews Sisters and Perry Como. 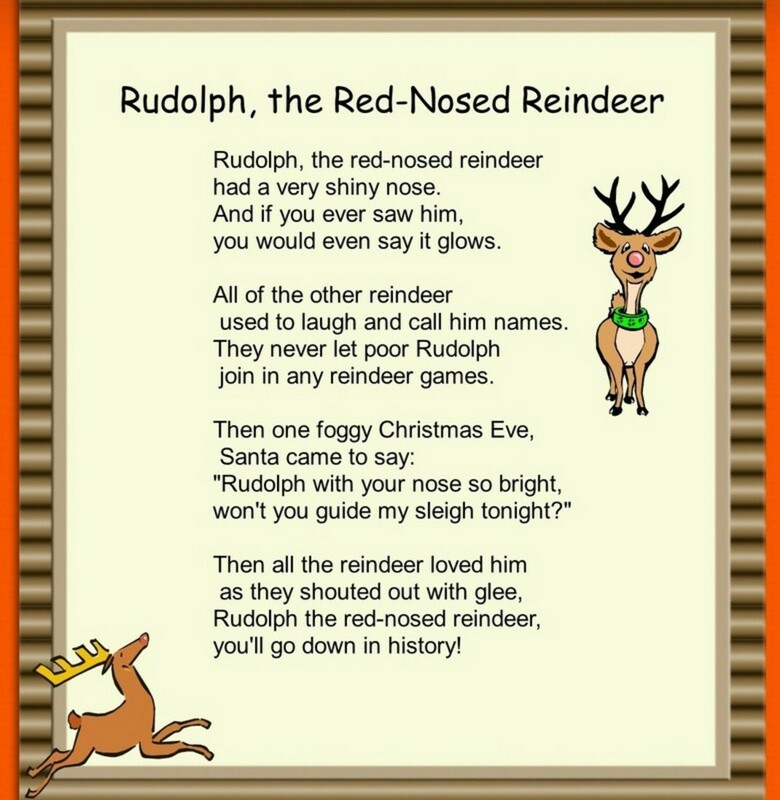 Rudolph the Red-Nosed Reindeer started life as a poem created by Robert May. 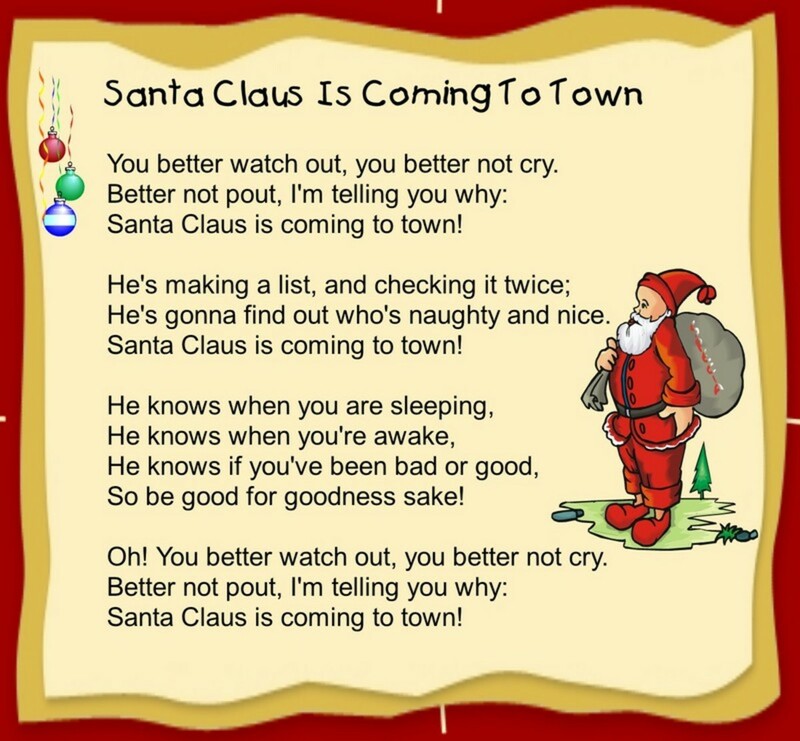 He was requested to produce a poem that could be given away to children by the Santa Claus employed by Department Stores at Christmas! This marketing ploy was a massive success and approximately 2.5 million Rudolph, the red-nosed reindeer poems were given away in the first year of its publication! In 1949 the singer Gene Autry introduced "Rudolph" at Madision Square Garden in New York City in 1949. He recorded a musical version of Rudolph the Red-Nosed Reindeer composed by Johnny Marks. 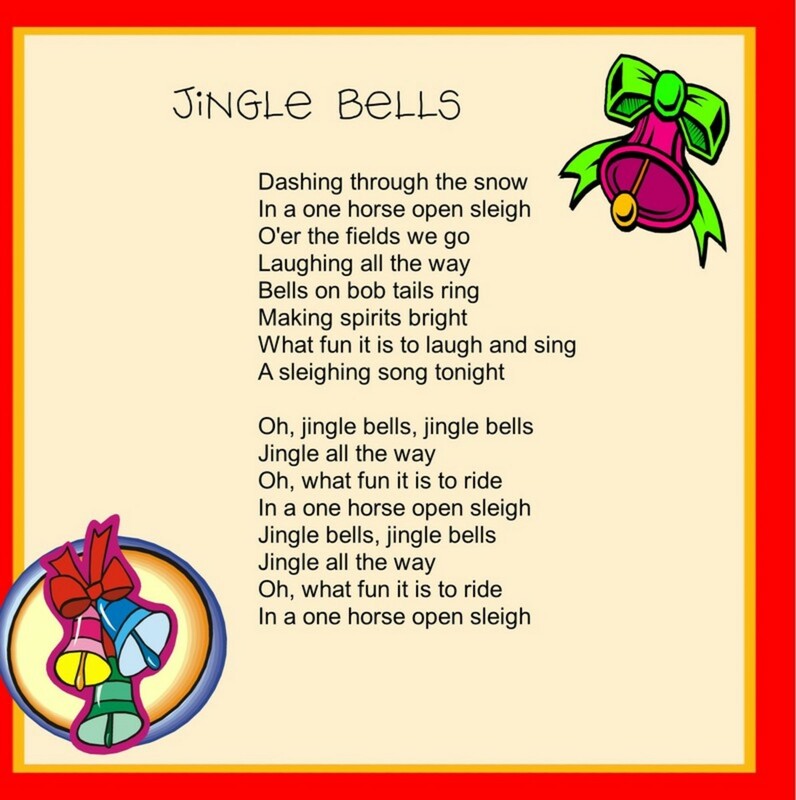 For most of us" Jingle Bells" has come to be synonymous with Christmas. James Pierpont wrote it in 1857 for a Thanksgiving program for the Boston Church, where he taught Sunday School. 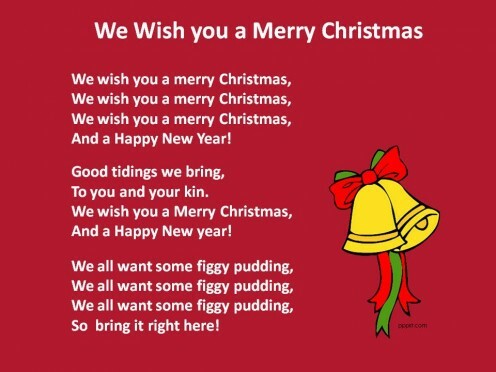 I have a few more favourites like Away In a Manger, Little Drummer Boy and Frosty the Snowman, but they are a bit long for young children to memorize. I have notice that some songs when sung by very young children during Christmas pageant or school program, they learn hand gestures and motions to go along with the chorus. I guess this is one way to get them enthusiastic about learning the song, as well as help them remember the words more easily. I must admit that most Christmas songs that I knew now are songs that I have learned when I was a child, it just stay in you mind and in your hearts forever. How about you what are you favourite Children's Christmas Carols? Here are some Christmas songs from YouTube, I hope you enjoy them and Have a Merry Christmas !!!! What Are Your All-Time Favourite Christmas Carols? I like it very mach!! I love these songs . They were awesome. i love these song they rock!!!!!!!!! A person you dont know BUT TRUST ME THE PERSONS AWESOME! Thanks I love singing Christmas carols around the house FIVE STARS! I LOVE IT! ITS SO COOL!!!! i loved the songs i sang the to my family last christmas my singing is coming on very good. Mikayla just welcomed Nick to Ravenskye City! Christmas is my favorite holiday ever!!!!!!!!!!!!!!!!!!!!!!!!!!!!!!!!!!!!!!!!!!!!!! What a lovely collection of Christmas songs! Thanks for sharing MM! I love it very much. it is exactly what i want to find for my kids. good job man!! I love this web-site! I'ts so cool!!! I Love singing it is my passion so this site is really cool beacause christmas is my favorite holiday of the year! 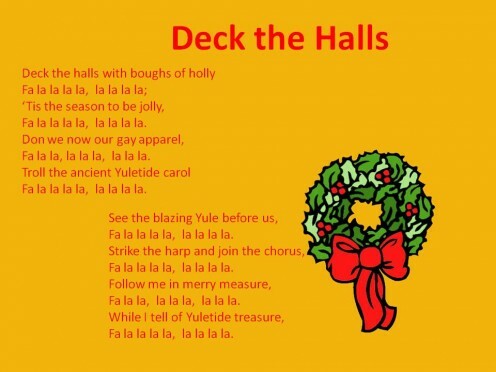 I really loved Deck The Halls. i was searching carols for my children and i liked all very much. i wish some more carols next time. I love, i love your songs very much. Joy to the world my sunday school kids really enjoy it. Akshita is a Nightmare Slayer! !!!!!!!!!!!!!!!!!!!!!!!!!!!!!!!!!!!!!!!!!!!!!!!!!!!!!!!! Merry christmas and a happy new year! This music touches my heart...."away in a manger no crib for a bed the lit... sorry have to go and Merry christmas everyone! My 3 year-old son listens to it and said that it was a beautiful music. all the songs help me practise for a chrismas play at school!!!!!!!!!!!!!!! I luv all ov dem buh OH COME YE ALL FAITHFUL is the best!!!!!!!!!!!!!!!!!!!!!!!!!!!!!!!!!!!!!!!!!!!!!!!!!! from Carmen and Carlos Pastor Garcia. these are great songs my class loved them. i luv all the awesome songs especially i saw mommy kissing santa clause that was my fav. luved it. plus it is almost christmas. can't wait! ,we wish you a merry christmas,and twleve days of christmas. I lile it if you would be able to put on Little Star and I t was on a starry night when the hills were bright.Hope you have a nice xmas everybody.Next week on Monday it is Halloween.Thanks for my advice and you advice too. ALL THESE CHRISTMAS SONGS MAKE ME CRY!!!!!!!!!!!!!!!!!!!!!!!!! Thank you very much for all your comments. 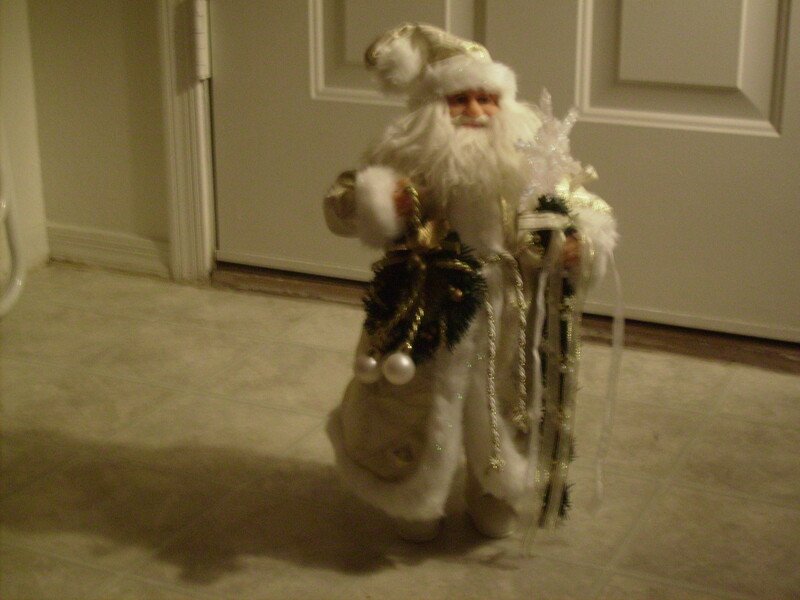 Over the years I have compiled Christmas carols for kids and I have added more You Tube videos, so you can sing along. 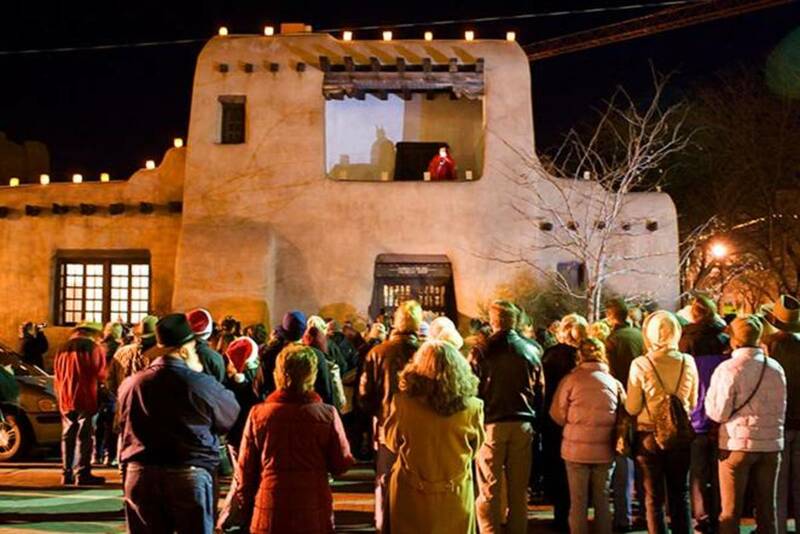 Enjoy and have fun in singing the carols. Thanks for visiting and I hope you will come back next year. Have a Blessed Christmas. i love carols. thanks for the great songs. my fav. is i saw mommy kissing santa claus. I love the songs and how they where composed,they sound beautiful and made someone to know that the Lord,Jesus Christ came to life on earth,to save me and you from Sins. What a wonderful collection of Christmas songs! Would love to find a Kris Kringle song for preschoolers if anyone has one out there. I love all the Cristmas Carols because they bring a spirit of joy to us about Christmas but from my side the best carol which I like is Jingle Bells. I was wondering why i was getting so many views on my twelve days of Christmas video on you-tube from hub.com. While my hub pages showed i was getting no views. the views are coming from you site. And it is a nice! you did a wonderful job. you must get tons of views a day. Christmas is the best time of the year for me because I get to spend time with my family and listen to christmas music withmy family! The songs are great for the kids to listen to because they learn about Jesus. the music got me into the mood toread the bible sing about JESUS!